There lies a variety of furniture for living room but the side table is the one of the most popular furniture types which performs great in living room. 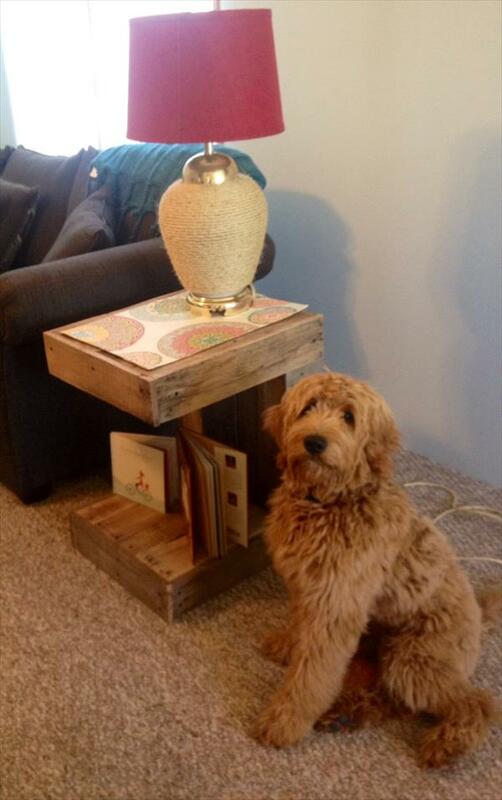 We have reclaimed a DIY c-shaped pallet side table out of shipping pallets. The design of this old pallets furniture is much unique and rare in its kind. This c-shape provides a gracious top and a bottom and both can be subjected storage. 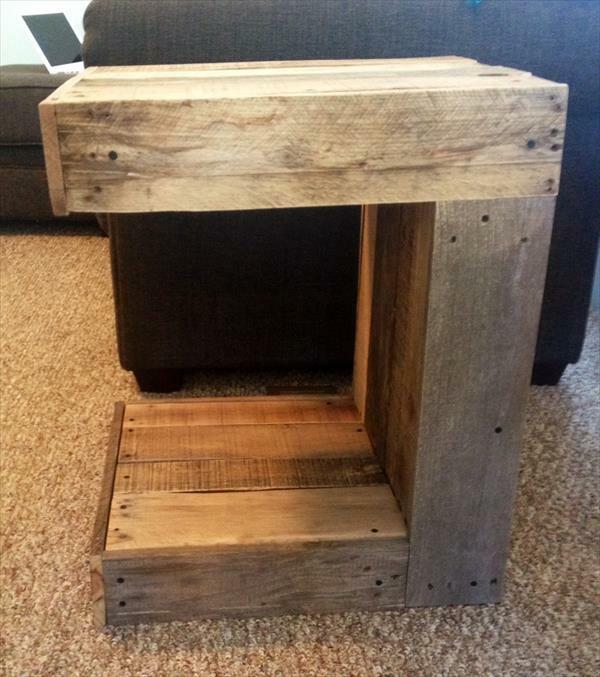 This will work great as a rustic lamp holder in sides of living room couch. You can easily get support of this sturdy furniture item for a cup of tea or coffee during conversation while being on living room sofa. 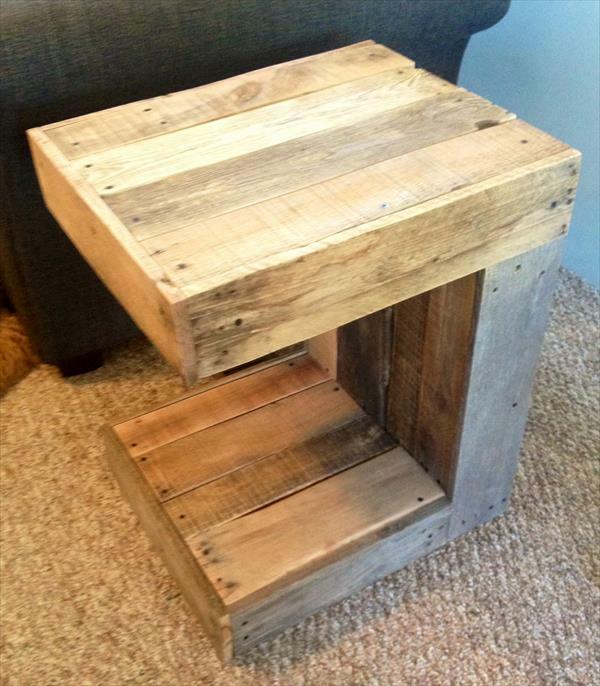 You just need some aged and weathered type of wood like pallets to earn this sophisticated type of DIY pallet utility table. 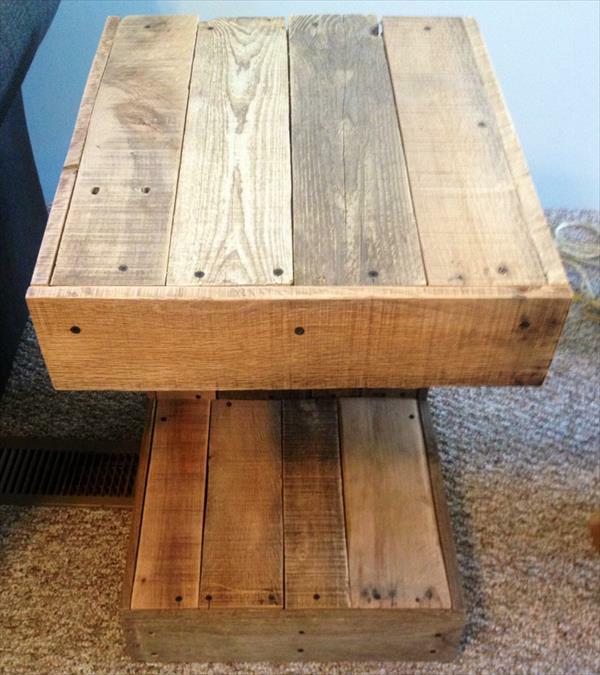 If you are having problems in finding the pallet wood go straightly at a shipping place and get a desired supply of rustic shipping skids without any cost.